PRICE DROP! 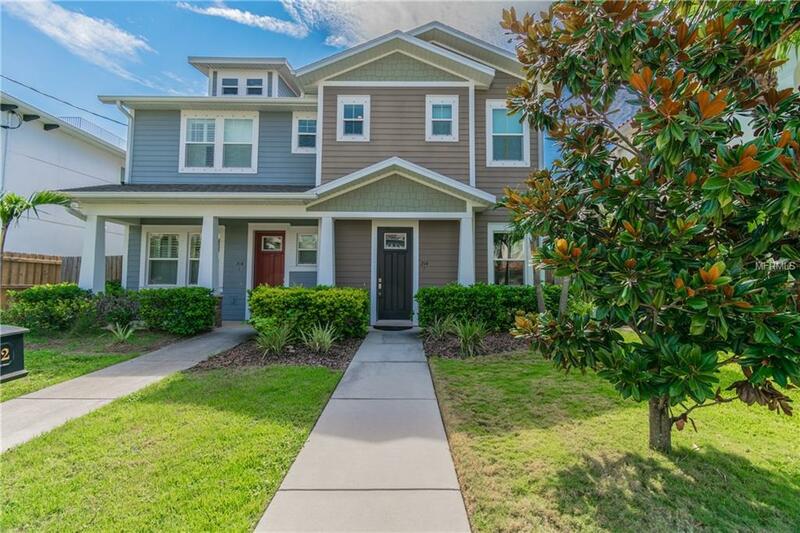 Eye-catching 3 bedroom 2 1/2 bath townhome in SoHo with 2 car garage accessible from a back alley & no HOA! Relax on the covered back paver patio and enjoy the attractive backyard on long summer days- perfect for BBQ's & pet owners! Inside showcases 10 ft ceilings, dark engineered wood flooring, recessed lighting, & high end window treatments throughout including plantation shutters. The first floor offers an office/den & open floor plan. A half bath is across from the kitchen which features stainless steel appliances including a gas range, island with deep farmhouse sink, granite counters, solid maple cabinets & stylish tile backsplash. A walk-in pantry & coat closet are also across from the kitchen. The great room features high windows for privacy. On the 2nd floor is a huge master suite with walk-in closet, tray ceiling, & en-suite with dual sinks, soaking tub, & separate glass shower. The 2nd & 3rd bedrooms have closets with french doors & share a hall bath with a tub/shower combo & built-in cabinets. A laundry closet is also on the 2nd floor. This unbeatable location is just a few blocks from the Publix Greenwise Market & all the fabulous SoHo restaurants, with a short commute to Downtown Tampa.